We are a leading Manufacturer of process reactors, jacketed reactors, chemical reactors, ms reactor, gas induction reactor and dimple reactor from Ahmedabad, India. The single jacket design consists of an outer jacket which surrounds the vessel. Heat transfer fluid flows around the jacket and is injected at high velocity via nozzles. The temperature in the jacket is regulated to control heating or cooling. The single jacket is probably the oldest design of external cooling jacket.The half coil jacket is made by welding a half pipe around the outside of the vessel to create a semi circular flow channel. The heat transfer fluid passes through the channel. A large reactor may use several coils to deliver the heat transfer fluid. It mostly used for heating or cooling. It is mostly preferred when thermic fluid heating is done instead of steam heating. We are offering our clients with an impeccable Chemical Reactors. 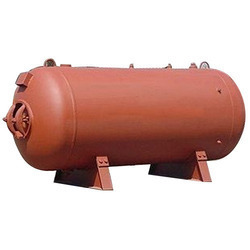 Manufactured by making use high-grade basic material and latest technology, these offered products are in compliance with the defined parameters of the industry. Furthermore, we design and develop these products while taking into consideration market demands so as to ensure complete satisfactions of the clients. With thorough understanding of this area, we are instrumental in providing a distinctive compilation of MS Reactors which are available with us in different sizes, dimensions and specifications to choose from. We are also offering customization facility which allows us to modify our products stipulations as per the needs and requisites of our customers. Available with us at reasonable rates, we deliver these after packing in premium quality. We are pleased to introduce ourselves as a company engaged in offering engineering services to the process industry. We are expert in reactor fabrication for chemical as well as pharmaceutical industries. 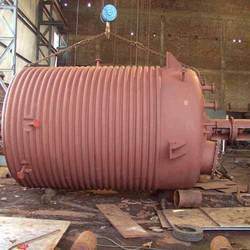 We are in the service of catering specialty reactors to various industries as per their specific requirements. We are also dedicated to marketing and manufacturing of specialized mixing systems for all type of process applications. We fabricate the reactor for batch operation in regular fashion (dish welded) as well as in two piece design. Capacities and dimensions have a vast range so that it can fulfill all range of requirements. We have successfully supplied reactors with agitation systems for various unit operation and unit processes. The single Dimple Reactor design consists of an outer dimple which surrounds the vessel. Heat transfer fluid flows around the jacket and is injected at high velocity via nozzles. The temperature in the dimple is regulated to control heating or cooling. The single dimple is probably the oldest design of external cooling dimple.The half coil dimple is made by welding a half pipe around the outside of the vessel to create a semi circular flow channel. The heat transfer fluid passes through the channel. A large reactor may use several coils to deliver the heat transfer fluid. It mostly used for heating or cooling. It is mostly preferred when thermic fluid heating is done instead of steam heating. We are actively efficient in offering an exquisite assortment of High Pressure Reactors. 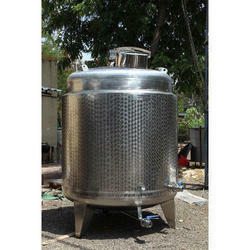 The offered pressure reactor is developed with the help of quality material by our workforce as per the market norms. 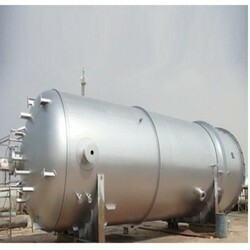 This pressure reactor finds huge application in industries like petrochemical, chemical, oil & gas and pharmaceutical. Offered pressure reactor is thoroughly tested on by our quality controllers for assuring its flawless range. 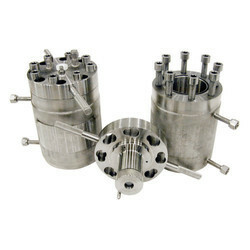 We manufacture Stainless Steel Chemical Reactor, pharmaceutical, refinery and other industries. These are fabricated from premium grade stainless steel that assures non-corrosion performance. 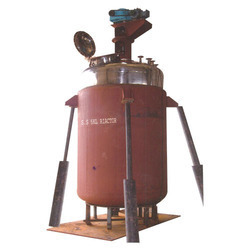 The SS Reactors we fabricate can be customized as per the specifications provided by our clients. The accuracy in dimension and design makes these seamlessly integrate with the existing system. 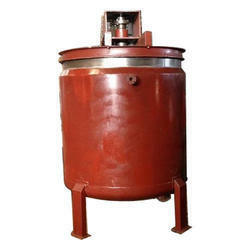 We offer stainless steel reactors of international standard and at very competent prices. Available in a range of different capacities our reactors are immensely popular due to safety features integrated. We custom design and fabricate reactors. 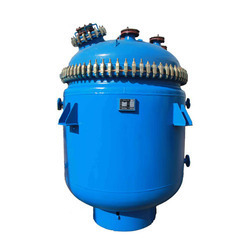 We are manufacturer of all reactors in SS316/ SS304, with MS jacket with limped coil, from 100ltrs upto 25000ltrs capacity, available in various types of impellers ie anchor, turbine, propeller, pitch blade, cowl type etc. 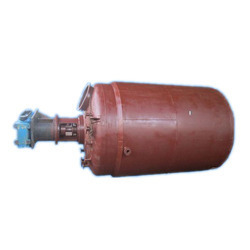 We are one of the leading names in the industry in offering a wide array of Rubber Lined Reactor to our clients.